Summer is winding down and we don’t have many weekend days left. I thought I’d repost this recipe for Perfect Lemonade that was on our Facebook page earlier this summer. 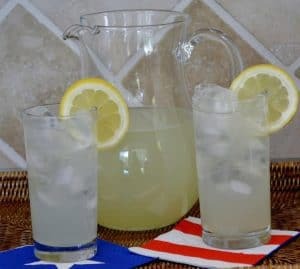 The secret to the perfect batch of lemonade is making a simple syrup, which is just combining sugar and water and heating it to dissolve the sugar. Why not make a batch and enjoy the final lazy days of summer? Combine water and sugar in a medium saucepan and bring to a boil. Whisk to dissolve sugar. Remove from heat and let cool. I often make a double or triple batch and keep it in the fridge to sweeten tea or other "adult" drinks. 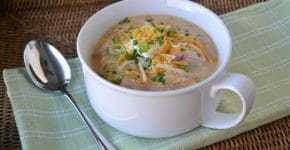 If you are making extra you will need about 2 cups for this recipe. Pour the simple syrup into a 2 quart pitcher along with the 1½ cups lemon juice. Stir and add enough water to make 2 quarts. Stir and serve over ice. Check for perfect blend of sweet and tart. Just add more simple syrup if you want a sweeter lemonade or more lemon juice if you find it too sweet. To juice lemons: Put the lemon in the micro for about 15-20 seconds and then roll on counter pressing firmly and it will release more juice. It will probably take 8-10 large lemons. If you get extra just freeze in ice cube trays. You can also juice extra lemons and freeze in 1½ cup increments so all you have to do is thaw the juice and you would be ready to go! I have a handy lemon/lime juicer that I got at Williams-Sonoma that catches the seeds. I do juice the lemons into a bowl with a strainer over it, because my kids have a strong dislike of pulp. We sometimes mix with a carton of partially thawed strawberries to make strawberry lemonade.